The Revolution Ascent SPx features a tough EPO foam airframe design that’s incredibly durable, lightweight and inherently stable. The pusher configuration keeps the propeller and motor out of harm’s way, so even if you’ve never flown RC you can learn to fly in less time than ever before. And if you want to take your experience to the next level, you can upgrade by exchanging the optional aileron-equipped wing in place of the standard wing without any modifications for full 4-channel control and aerobatic capability (wing and servo sold separately). The Ascent SPx offers a combination of stability and durability perfect for first-time pilots. It features an advanced and tough EPO foam airframe design that is strong, durable and inherently stable. The pusher configuration keeps the motor and propeller out of harm’s way so you don't have to repair bent motor shafts or replace broken props after hard landings or crashes. The Ascent SPx arrives factory assembled and nearly ready to fly right out of the box. 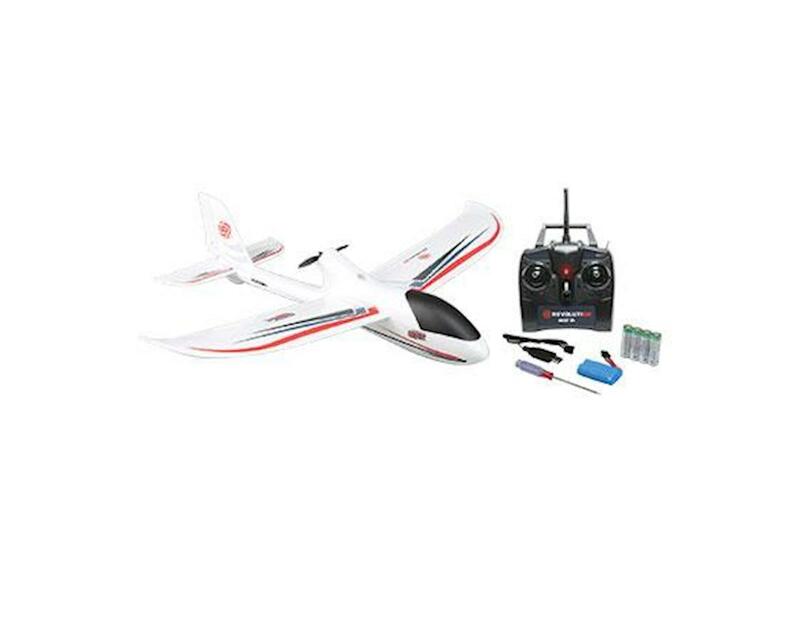 Inside the box you’ll find a 4-channel transmitter equipped with 2.4GHz technology, AA batteries for the transmitter, a rechargeable Li-ion battery that delivers long flight times and a USB charger you can use with almost any USB power source. There's nothing extra to buy and you can be ready to fly in the time it takes to charge the battery. An optional aileron-equipped wing can be mounted in place of the standard wing without any modifications for full 4-channel control and aerobatic capability (wing and servo sold separately).